It has been just a couple of months since the introduction of the ‘Creta‘ nameplate in India and the Korean auto major has already come up with yet another update for its SUV portfolio. 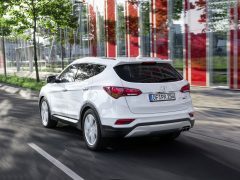 While the new Hyundai Santa Fe 2016 is merely a facelift and doesn’t break any new grounds in terms of design and specifications, the refreshed Santa Fe is surely catching a few eyeballs at the 2015 Frankfurt Motor Show where it made its global debut recently. In words of Hyundai, the 2016 Santa Fe’s updated exterior has an “athletic, modern presence to reflect the latest Hyundai family look”. 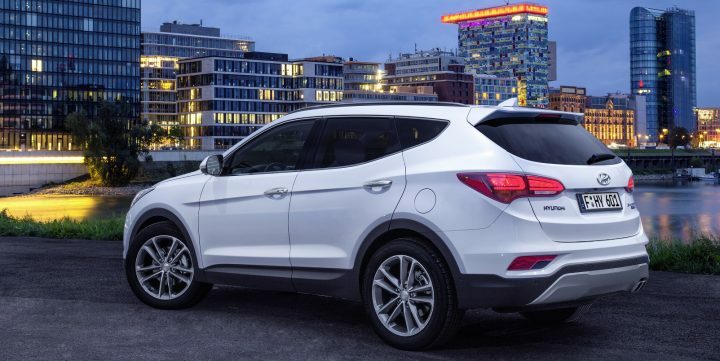 Here, in this post, we’ve put together all the important details on the new Hyundai Sante Fe 2016. Currently, there’s no official word on the 2016 Santa Fe’s India launch date but it would be only safe to assume that the refreshed SUV will make its India debut at the 2016 Auto Expo in February next year. The current Santa Fe retails for roughly INR 24 lakhs (ex-showroom) and the refreshed model is expected to benefit from the brilliant pricing when it goes on sale here. The refreshed Santa Fe has always been a fairly feature-laden car and the facelift comes with some new features that further enrich an already long equipment list. 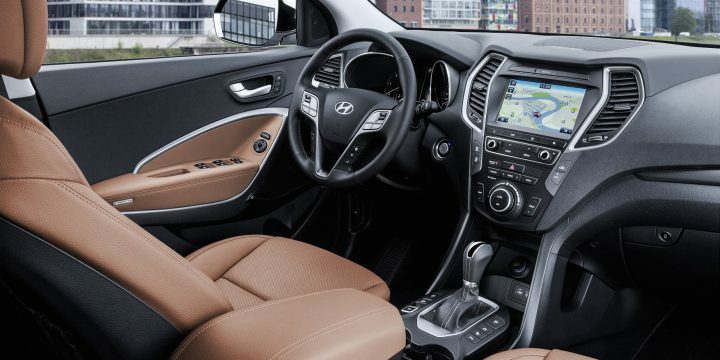 The Santa Fe 2016 comes with new features such as – Emergency braking, Rear-cross traffic alert, Smart cruise control, Blind spot detection, Lange change assist and High beam assist among other features. The refreshed SUV gets a slightly darker tint for the headlights, thinner horizontal slats for the front grille and a restyled front bumper that gets new foglight housings, air intakes and a revised scuff plate. Also new to the Santa Fe are new alloys, a shark fin antenna, LED tail-lights and a bolder rear scuff plate. 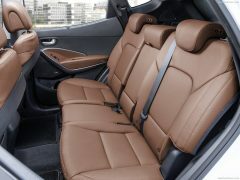 On the inside, the changes are limited to an upholstery change and some really subtle design tweaks. Hyundai hasn’t mentioned any changes for the car’s powerplant and in most likelihood, the current motors will soldier on unchanged. 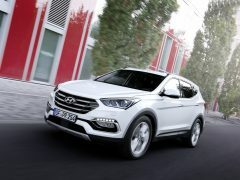 In India, the Santa Fe is available with a 2.2-litre four-cylinder turbocharged diesel engine that pumps out a maximum power of 194 bhp and a peak torque of 420 Nm. 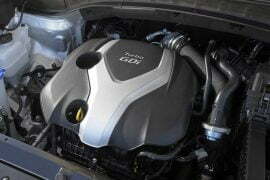 The Santa Fe’s motor is a fairly refined and a responsive unit. 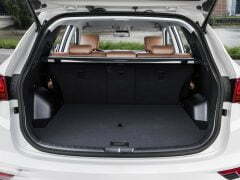 Stay tuned to Car Blog India for more on the New Hyundai Santa Fe 2016.